Aeolian-Skinner Opus 1174 | Neal Campbell--Words and Pictures. It has been remarked that the famous European organs owe a good part of their success to the vast and resonant Gothic buildings in which they stand free and open. 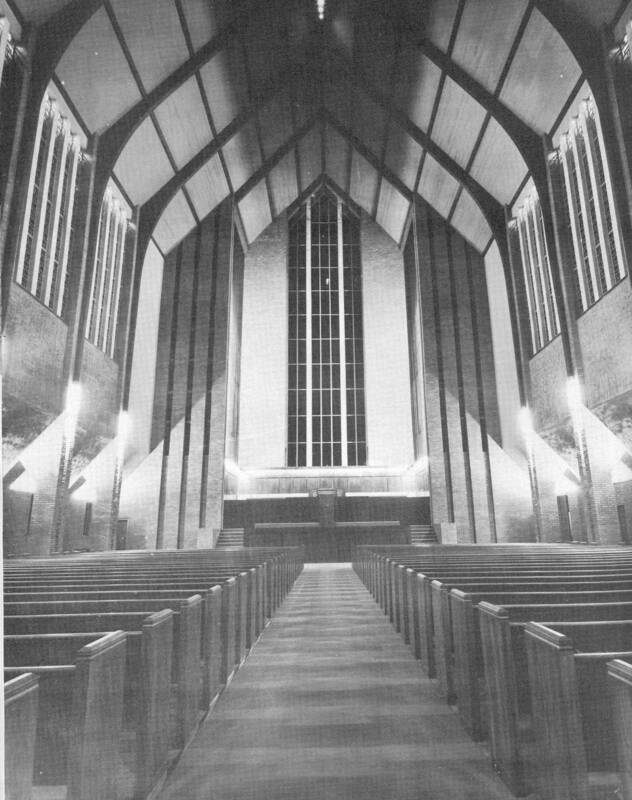 Present day building costs have put great Gothic churches out of reach, but in Longview’s First Baptist Church the architectural firm of Wilson, Morris & Crain has preserved the Gothic spirit in line and proportion within the comparatively moderate cost levels of contemporary style. They have created a lofty and spacious church of real architectural distinction; and they offered the organ builder an ideal set of conditions, most of which he himself was allowed to specify. 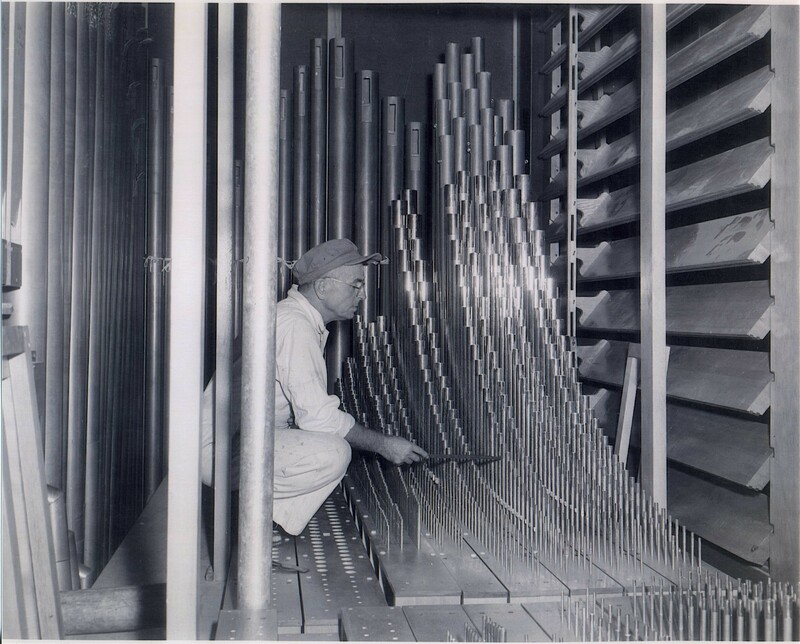 All matters of acoustics were put into the hands of Messrs. Boldt, Beranek & Newman at The Massachusetts Institute of Technology, with the requirement that the finished building must be entirely satisfactory both for speech and music, with Mr. Harrison to have the final say on the latter. This difficult aim has been perfectly realized. 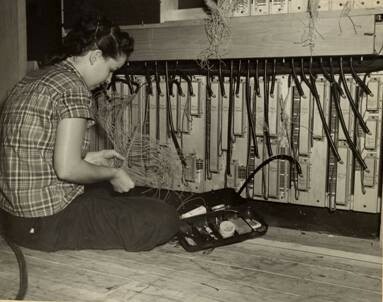 Furthermore, the organ was given a commanding open location, with the organ builder’s wishes followed to the letter. 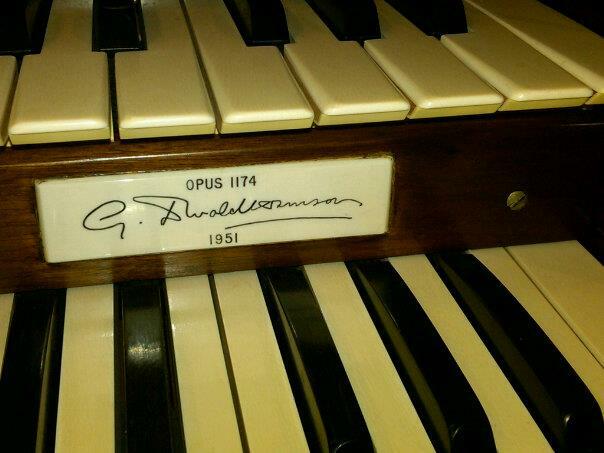 Under these conditions Mr. Harrison has created a truly great organ in the French Cathedral style, but with a refinement and finish the French builders never dreamed of. 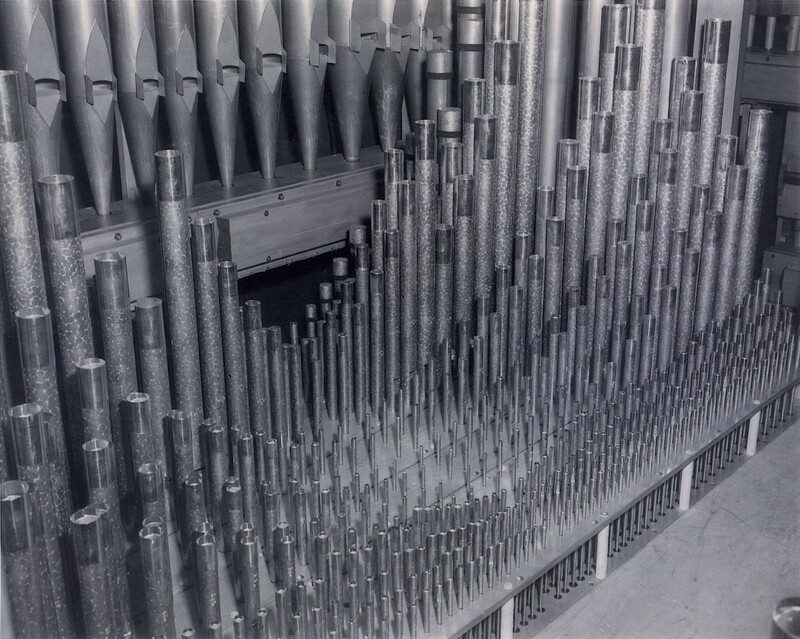 There being three reed choruses, the full organ has the fiery brilliance one associates with French organs, but the reeds in no way outshine the splendor of the flue work. The great Principal, for instance, has a lovely singing quality which this remarkable room preserves and delivers to the ear even at the back wall 220 feet away. This quality is present in all the stops singly and in any combination, so that the tone is fresh and vital to a superlative degree. 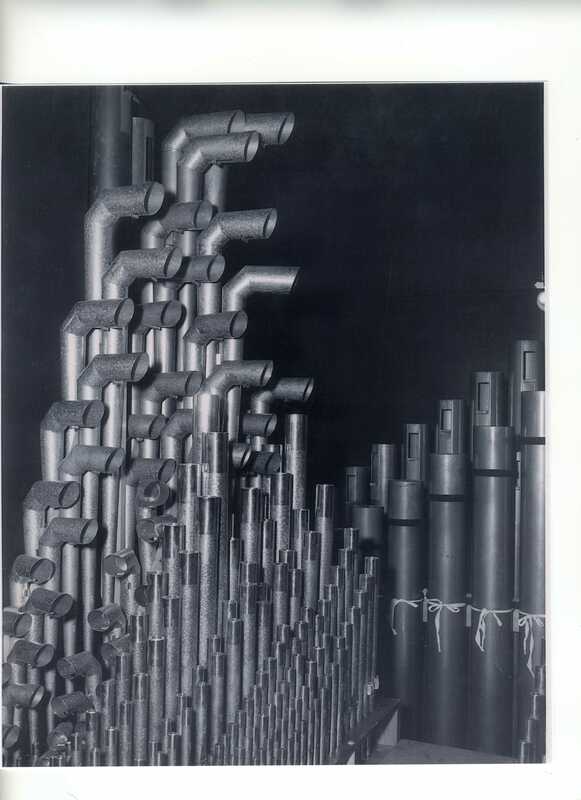 Even the mouth characteristic of the pipes is clearly audible (this made extra careful regulation mandatory) so there is no question of anything less than complete clarity. The lavish provision of mixtures and mutations yields a tone of fascinating complexity, in which every sound interlocks without confusing pitch lines. An additional small flue chorus is located in the gallery, not as an echo organ, but to bolster congregational singing. Although this organ leans toward the Classic side, it affords five pairs of strings and quasi-strings, a vox humana, and percussions, not to mention the wonderful flutes and small reeds. It will do full justice to any music, even the humblest; in grandeur it holds its own with the great organs of the world. 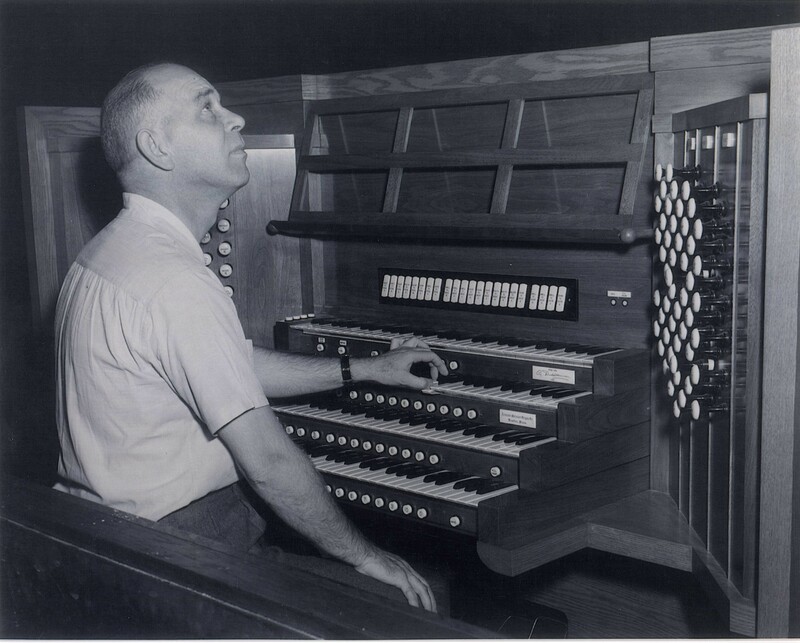 –Roy Perry, from a pamphlet he wrote describing the organ, together with those of First Presbyterian, Kilgore, and St. Luke’s Methodist, Kilgore, when the organs were new. Roy Perry at the console during the tonal finishing.